Click the button visit the national volunteering database.  South Dublin County Volunteer Centre offers a recruitment and placement service for volunteers in South Dublin County. Alongside this, we also work with community and voluntary organisations – providing support and training to not for profits on all aspects of volunteer management. We also reach out to the community and promote the value of volunteering by delivering talks and presentations and hosting volunteer-focused events. research and policy work around all areas of volunteering. TrustIE is a collaborative project run by the Cork, Dublin City, Dun Laoghaire Rathdown, Fingal, Galway and South Dublin County Volunteer Centres. It aims to support community organisations in recruiting trustees, as well as supporting volunteers to find trustee opportunities. The pilot arose out of the needs, identified by Volunteer Centres, of small community organisations to better recruit and support board members as well as the needs of volunteers for better information and awareness about becoming trustees. Small to medium community organisations were not typically registering trustee opportunities with Volunteer Centres (or elsewhere for that matter), and as a result volunteers were not being offered the opportunity to become trustees. TrustIE sought to address to this lack of opportunity, as well as the misinformation about the responsibilities of the trustees and governance generally. In February 2018, a proposal was put to the Department of Rural and Community Development for capacity building training for organisations and volunteers culminating in a matching event – with a speed-dating format. The pilot was launched in March 2018 and training began in June 2018. The training was designed and delivered in collaboration with The Wheel across the Volunteer Centre catchment areas. The evaluators used the Kirkpatrick Training Evaluation Model to examine the reaction, learning, behaviour and results of the training. Surveys were used to gather information from participants and interviews were held with TrustIE coordinators.